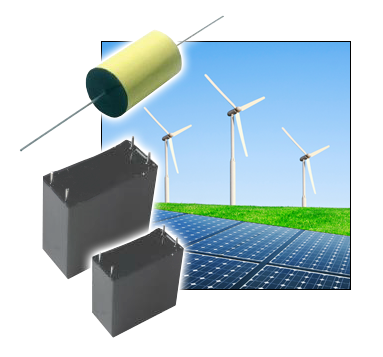 JULY 13, 2018 - New Yorker Electronics has announced the released of Cornell Dubilier Electronics’ (CDE) newest metalized polypropylene film capacitors for UPS, AC power supplies and general AC filtering applications. The 951C and 953B series offer strong performance for filtering in applications where high ripple currents are encountered and benign end-of-life failure mode is essential. The 951C has a cylindrical body with axial leads while the 953B has a rugged radial box form factor. Both capacitors offer a fused, segmented metalization pattern, to provide significant circuit protection and the UL 810 approval assures fail-safe operation under fault conditions. The metalization pattern is deposited on a low-loss, high-grade polypropylene dielectric. Built-in fuse-links limit capacitance loss is limited to a small segment within the capacitor. This is in contrast to the larger areas of uncontrolled capacitance loss observed with non-segmented types. 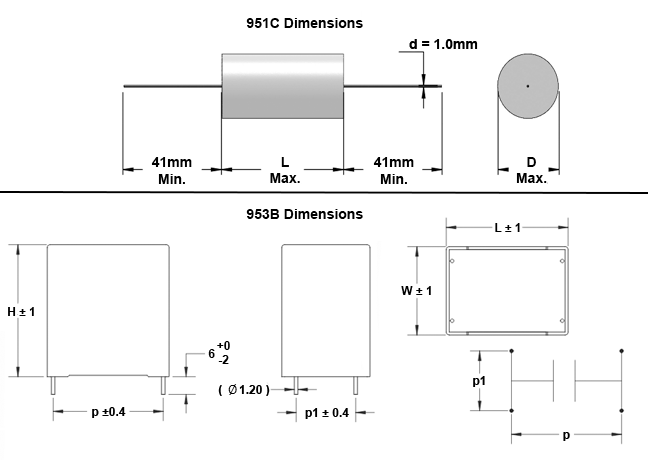 This capability is not usually available for board-mounted capacitors. The axial-leaded 951C Series is offered in values ranging from 0.825μF to 40μF, while the 953B spans 2.5μF to 50μF. Voltage ratings in both series are available at 160Vac, 250Vac and 275Vac. Both types offer -40°C to +85°C performance and meet the requirements of UL 94V-0 for flammability. New Yorker Electronics is a franchise distributor for Cornell Dubilier carrying the full line of Aluminum Electrolytic Capacitors, AC Oil Filled Capacitors, DC Oil Filled Capacitors, Film Capacitors, MICA Capacitors, Ultracapacitors, Surface Mount Capacitors, Aluminum Polymer Capacitors, Supercapacitors, plus Capacitor Hardware and Capacitor Kits.